The Indian Space Research Organisation (ISRO) will launch their navigation satellite 'IRNSS-1H' to augment the existing seven satellites of NavIC constellation. To be launched on board PSLV-C39, IRNSS-1H will be a 'back-up' navigation satellite for IRNSS-1A, whose three rubidium atomic clocks on board have stopped functioning. This PSLV-C39/IRNSS-1H Mission is scheduled for launch on August 31 at 6:59 p.m. from SDSC SHAR (Satish Dhawan Space Centre), Sriharikota. The spacecraft — weighing more than 1,400 kg — was built and tested by ISRO in conjunction with a consortium of six small and medium Indian industries. 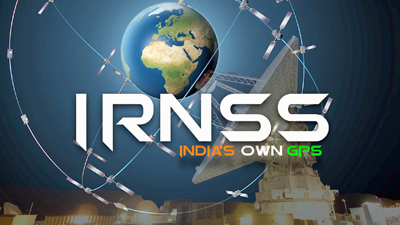 The Indian Regional Navigation Satellite System (IRNSS) is an independent regional navigation satellite system developed by India that is on par with the U.S.-based GPS. The system offers services such as terrestrial and marine navigation, disaster management, vehicle tracking and fleet management, navigation aide for hikers and travelers, visual and voice navigation for drivers — the satellite was named 'NavIC' (Navigation with Indian Constellation) by India's Prime Minister, Narendra Modi. ISRO has launched seven satellites: IRNSS-1G on April 28, 2016 — IRNSS-1F (March 10, 2016) — IRNSS-1E (January 20, 2016) — IRNSS-1D (March 28, 2015) — IRNSS-1C (October 16, 2014) — IRNSS-1B (April 4, 2014) and IRNSS-1A on July 1, 2013. According to ISRO officials, the total cost of all the seven satellites was Rs 1,420 crore.